The members that make up the Auxiliary Organizations Association (AOA) are the auxiliaries of the 23 campuses in the California State University (CSU) system. Typically these organizations include foundations that manage contracts and grants or gifts to the university, enterprise corporations that run bookstores and food services, associated student organizations and student unions, and sometimes athletic or housing corporations. 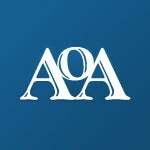 The mission of the AOA is to facilitate the role of individual auxiliaries on their respective campuses by providing the auxiliaries with the resources and services that enable them to be more effective. The Association of College Unions International (ACUI) brings together college union and activities professionals from nearly 1,000 schools worldwide. It is a not-for-profit educational organization that is dedicated to enhancing campus life through programs, services and publications. ACUI members work at and attend urban and rural campuses, in two-year and four-year institutions, in large universities and small colleges. Members include students and administrators whose mission is to build campus community. ACUI enriches them all through education, advocacy, and the delivery of services. 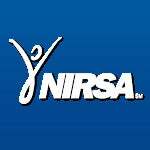 National Intramural-Recreational Sports Association (NIRSA) is made up of and supports leaders in collegiate recreation. As college and university students develop into future leaders, NIRSA members support their learning and growth by fostering lifelong habits of wellbeing. Leadership, teamwork, dedication and respect are among the many skills exercised by inclusive competition, fitness and recreation. 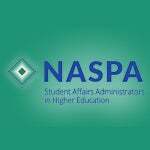 NASPA is the leading association for the advancement, health, and sustainability of the student affairs profession. NASPA serves a full range of professionals who provide programs, experiences, and services that cultivate student learning and success in concert with the mission of our colleges and universities. Established in 1918 and founded in 1919, NASPA is comprised of 13,000 members in all 50 states, 25 countries, and 8 U.S. Territories. The mission of NASPA is to be the principal source of leadership, scholarship, professional development, and advocacy for student affairs. 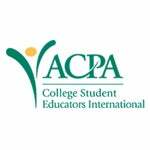 American College Personnel Association (ACPA) — headquartered in Washington, D.C. at the National Center for Higher Education, is the leading comprehensive student affairs association that advances student affairs and engages students for a lifetime of learning and discovery. College administrations and student groups hire MediaMate to manage their national advertising for them. MediaMate markets media properties, schedule ad placements, and perform invoicing and collections. 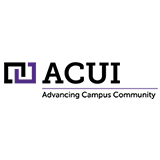 They work with all advertisers and advertising agencies on behalf of the colleges that hire them.